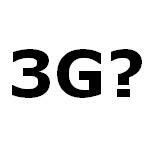 While the 3G Launch of Major operators in India is just a couple of weeks away, we’ve got some bad news on 3G here. Once it’s here, more than one crore people are speculated to use 3G and so are their brains to get damaged. Though the rest of the world has been exposed to these stronger radiations for years now, for India, it is now a new threat for us. Recent reports reveal that the population using 3G Services is likely to be affected by cancer and neuro-phsychiatric problems in the next two years due to exposure to harmful radiations, which are 20-15 percent stronger, with 3G coming in. Children below the age of 16 are the most vulnerable to this and are prone to brain cancer five times more than the adults, recent studies by the Electircal Engineering Department at Indian Institute of Technology reveal. And, children will be the most fascinated by video calling as soon as it’s here, which leaves the worst choice for our Indian kids. They run the risk of developing neuro-psychiatric problems, including headache, memory loss, diz ziness, tremors, muscle spas ms, numbness, altered reflexes, muscle and joint pain, depression, and sleep disturbance. More severe reactions include seizures, paralysis, psychosis and stroke, says the study. The results of the study have been presented to the Telecom Department and no word from them have been received yet.